Upgrade the base maps to full cycling maps! While writing my review on the Garmin Edge 520 I stumbled across what Garmin calls their ‘base’ maps. So for cycling these aren’t great. In my area they are the main roads on which bikes are mostly not allowed. So overall quite useless. However, the Garmin Edge 520 supports that you install your own maps! And, thanks to OpenStreetMap, you can get a detailed bike map of your region for free. Well, depending on how much data is available of course. But it’s not true navigation. You can’t tell it to navigate you to your favorite pub, but you can tell your Garmin to bring you back to the start and see whereabouts you are. Back to start is great if you feel like just going for a ride in an area you don’t know. 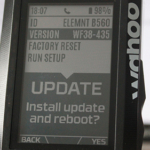 To install maps on the Garmin Edge 520 you need to take a couple of steps. The process is really easy and I’ll walk you through it with easy instructions. Please note that you choose to do this yourself. While it’s pretty much fool proof, I haven’t heard of anyone breaking their device doing this, I can not be held responsible if you do break your device. First, go to http://garmin.openstreetmap.nl/. This is a dedicated site to allow you to get the maps you need, and it’s free! If you’re wondering, ‘fiets’ is Dutch for ‘bike’. If you miss this step, the map you get will not be completely useless, but the bike only maps are actually smaller, so you can fit more on and have the information not to send you on a highway. The next step is to move to the area that you want to have on your Edge 520. You can select an entire country, but it’s likely that the map is too big to fit on the internal storage of the 520 (you only have about 100Mb of storage). As you can see the maps is cut up in tiles. The tiles for the maps. Now you can select tiles on the map by clicking on them. While doing so, keep an eye on the side bar, it will give an estimation of the map size, which you want to keep under 90Mb. You can fit more (about 100Mb), but you need to keep some space for your session, strava and other files. If you keep it to 90Mb you have a large safety margin as the Garmin and Strava files are pretty tiny. Once you’re happy with your selection, fill in your e-mail address and add your map request to the queue. The site’s servers will generate a seamless stitched together map of your selection. This may take some time depending on the demand. The one you want is ‘openfietsmap_lite_gmapsupp.zip’. The one just above the license.txt. The other files are there in case you want to use it on other platforms, so you can ignore them. After your download is completed you can go and unzip the ‘openfietsmap_lite_gmapsupp.zip’ file. In the zip folder you’ll find a file called gmapsupp.img (it may not display the file extension on your machine). This is the file you will copy to your Garmin Edge 520. So now you’ve got it, go ahead and plug in your Edge 520 using the USB cable and wait for it to be mounted as an external drive. I’m on a mac but the process is exactly the same on a windows machine. On the Edge 520 you will see a folder called Garmin and within it you’ll see ‘gmapbmap.img’, again with or without the extension. This is about 45MB and is the file we are going to overwrite. First, make a local copy of it and keep it somewhere safe for backup purposes. Then let’s go back to the downloaded file and rename the downloaded ‘gmapsupp’ to ‘gmapbmap’ (keep the .img extension if you see it). Here I’ve copied the original Garmin Base Map to the same folder and renamed it to _backup. I’m renaming the downloaded map to ‘gmapbmap’. 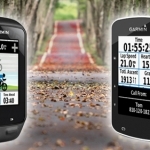 Now you’re ready to copy the new map on your Garmin Edge 520. Copy it over into the Garmin folder and give the ‘overwrite’ question a ‘yes’. If you don’t get this prompt, you are either in the wrong folder or have the filename wrong and it will not work. Make sure the new file’s name is exactly as you see the old one. Wait for the copy to finish. If you’ve chosen to delete the original and then copy the new map, you may need to empty the trash to actually clear out the space needed for the new map. Then, when everything is done, safely eject the Garmin 520. (right mouse click on the Garmin -> eject). You need to do a safe eject to make sure the file transfer is completed. This was the last step, now you can unplug your Garmin and boot it up. It will load the new map, which you can see in the boot up text, as shown below, (this may take a second but is pretty fast) and you’re good to go! In case anyone else had the problem where after copying gmapbmap.img, the map display was blank. And even copying the original file, the map is blank… Oh no! The problem in my case was that the files originated from an encrypted Windows folder. Copying the files to the Garmin did not remove the encryption. The solution was to remove the encryption first on Windows (right-click, Properties, Advanced, Uncheck: Encrypt contents…), then copy the files to the Garmin. If you have any questions or are stuck in the process, drop a comment below or contact me on Facebook, Twitter or Instagram. I’m happy to help out! If you like this post and found it helpful, please support me by shopping at my sponsors using the banners on the side or go directly to Amazon or Wiggle via these links! The Open Street Maps is an open source project, maintained by volunteers who spend their time improving the maps and adding information. You can help by making donations or adding information yourself! Hosting of the Garmin OpenStreetMap is sponsored by Oxilion and others. Slippy map and Garmin maps are based on OpenStreetMap data. P.S. Your Garmin 520 will function without a map file. P.P.S. If you get an error when you want to install a device update, that there’s not enough space just temporarily remove the map file and put it back after the update. I tried to follow your instruction to download the maps to my Garmin 520. i was able to get as far as downloading to a separate file. When i tried to copy the new gmapbmap to my Garmin i did not get an overwrite question I got a message saying it couldn’t upload because the file was too large. It is only 86mp. It appears to be trying to add the file instead of overwriting it. Any suggestions? Sorry, I don’t have a Facebook or twitter account to contact you. The reason you get that it doesn’t fit is probably because, as you said, it is trying to add it on the device, rather than replace the old map. Both won’t fit. 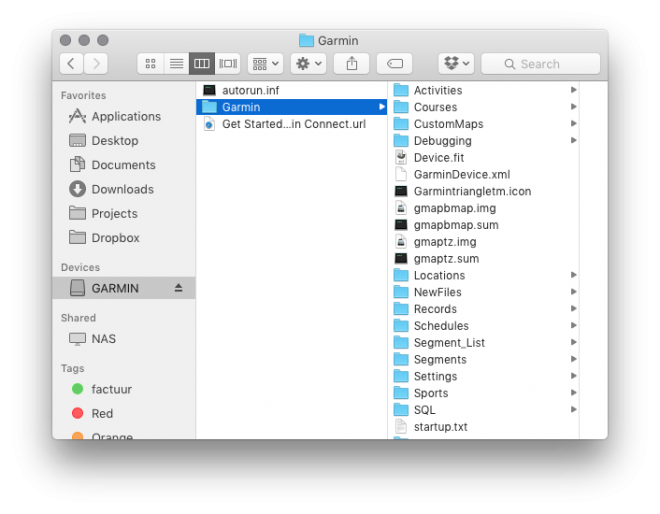 I have run through all the above steps also using a mac, when i turn on the garmin and go to the maps page i just get a blank screen. Clearly something is not correct i have run through things many times but cant work out what it could be, any tips? Hey, I managed to help Anna, so let’s see if I can get you going as well! Firstly, where to you live, maybe the maps have not been plotted out yet? Did you get an overwrite message when you copied the new file? Same problem as burty; replaced the file ok but the maps display blank. Replaced the original map file and I still have a blank map. Help! I believe I know the answer but here goes…I just loaded an Openstreetmap onto my Edge 520 for the Las Vegas area (a possible trip). I am currently in Ontario, Canada. When I go to view the map I get the grid only. I assume I must be in the actual area for the map to come up due to it being gps based. Yup, the 520 will automatically pick your location. So that’s quite a bit far-far away. You can always make a local map and swap out to check if it all works! I have my local home map area installed on my Edge520 utilizing OpenSteet Maps. I will be travelling out of my home area coverage by OpenStreet maps. I would like to add OpenStreet map coverage of my travel destination area. 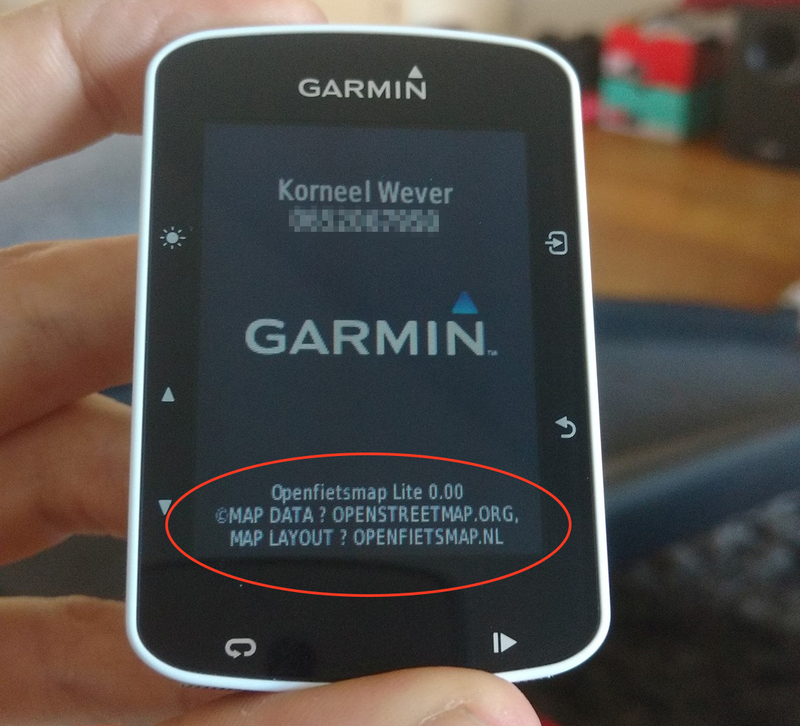 Can I just drag that new OpenStreet map file into the Garmin folder I have already created called gmapbmap which contains my home area maps or do I have to delete the home area maps first. I have storage space for additional maps. Any advice would be appreciated on how to best do this. As far as I know, the device takes just one map file. So I’d just make a new (travel) map, connect your 520, copy the (old) local map to a folder on your desktop (for after your holiday) and copy the map for holiday overwriting the gmapbmap on your 520. Then when you come back you put the local map back on as gmapbmap. Thanks for the great info. Will follow your suggestions. I just purchased an edge 520 and downloaded new maps (from Massachusetts, about 25 Mb total) from OpenStreetMap as explained in your page. Everything worked great until i ride and realized that they were no better than the original basemap. No local roads are shown. I think the copy to the device didn’t go correctly. During the boot of the 520 you should briefly see what map is being loaded, this should say openstreetmap. Did you rename the file before you copied it, did you get an overwrite prompt? I can see Massachusetts definately has some detailed map available. Hello, yesterday I updated my Edge 520 from 3.10 to 4.10 and now my gmapbmap.img doesnt work anymore. While booting the device its loading OSM maps, but it just shows the original map. Also gmaptz.img and a few more files are new. Any solutions for the new firmware? Please excuse my slow response. I lend out my 520 to a friend so I had to get it back. Just ran the update and I had no issues. Have you tried to copy the OSM map again? Also, after the update the 520 is set to the location of Garmin HQ. So wait for the GPS to load. Hey Allen, sadly, no. The 510 does NOT support this. I checked few possible methods to display the maps on 510 – it is possible but the roads will be not visible (you will see only the areas like forests, lakes etc.). You can put the kmz with the map saved as image – but it will need more memory. The worst thing – the Garmin turned off two times during one ride (I didn’t have this problem before using the maps). So – it’s partially working but unstable functionality. You can try with the waypoints – easy to add by using the Basecamp, you will see the points and labels. It’s not so good like normal map but you can mark some interesting places and find it pretty easy. I have the same problem as Anna above. It says the Garmin hasn’t enough space for the download, rather than overwrite. I’ve checked the file name and I’ve definitely change it to gmapbmap. Was there a solution for this problem? If you deleted the original, empty your trashbin. If you left the original, you should get an overwrite message. If not, there is a difference in the full file name and thus it won’t fit. I had the OSM on my 510 but had a large number of problems when using navigation until I disabled turn guidance and route calculation. The map was there so while parks, rivers displayed roads were did not (probably garmin intentionally prevented certain layers from displaying). About the only advantage was road names did appear in the guidance section on the map page. I’m using an 810 now and still have disabled turn guidance and route calculation. Hello, I have 3 TCX course files with different names that I want to download to my Edge 520. It appears that each file is overwriting the previous downloaded file therefore I am ending up with only the last TCX file I downloaded. Can I download all 3 TCX course files to the 520 so that I may select any of the 3 to ride? I am thinking I am missing a simple step. Problems. I couldn’t overwrite so I deleted the renamed file with proper extension. Original file was 51mp. New map is 49mb. I can not upload new file because it is to big as others mentioned. Can’t reload original because it now says is to big. Device showing 44mb available. Not sure how I can remove 51mb and only have 44mb available. Now I have lost base maps as from factory. This is usually solved with hooking up your 520 and then empty the computer’s trash bin. That clears the space. Thanks! Garmin did help me this morning and you are correct. Emptying trash can was the key and identifying extra junk files. Mac apparently adds and hides files. I was able to get connected with an old PC and see all the files. Determined what could be trashed and cleaned it up. All works well now. Appreciate you taking time to reply. 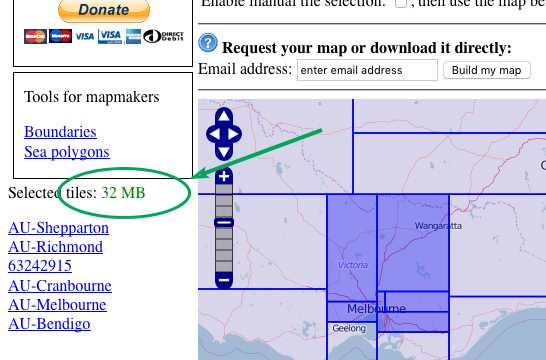 I’ve read elsewhere that there’s only about 50mb of free space for OSM maps but you talk about 90-100mbs. How much free space is there in truth? From the top of my head: There is ~50Mb available and the original map is 51Mb. Totaling to about 101Mb for your map, as you’ll replace the original file. But I do recommend to leave some space as you need some for your datafiles otherwise the 520 can’t record your ride. I’m considering the Edge 520 and am wondering if I am able to create a route online at Garmin Connect and then send that to my device for the ride. I belong to a bike club that provides printable maps with cue sheets as well as GPX files. I realize I can’t download the GPX files to this particular device but am thinking I may be able to “bypass” that limiation by creating and route in Garmin Connect and using that. Thanks! After I sent my question I dug a little deeper and found what I was looking for. Trying to stay on a budget so I was vasilating between the Edge 25 and 520. Your reviews and videos and instructions were quite helpful! I’m going with the 520 as it will give me a little room to grow with my training. Hi, I’ve followed the steps outlined above to download new base maps from open street maps and the process ‘seems’ to work but i have no map so i’m obviously getting something wrong. I never get a prompt to overwrite any file. I deleted the original base map(after saving copy) and copied a new base map to the device (edge 520) which took 5 mins. It took a few attempts because the file on the first 2 attempts was too big so i had to keep selecting a smaller area. Any help would be welcome. Hey, sure. I’ve replied on Facebook! It worked like a charm for me. One thing is that it took a while (like 2 minutes) to upload to the device. This is great thanks. Do you have to give the map downloaded from OSM the same name as garmin base map (“gmapbmap”) for it to work? As far as i know, yes, but I havent tried to put it just next to it. I just want to say thanks you. I follow step by step your instruction and it works flawless. You my Sir deserve a Beer! I’m really happy with my Garmin 520, but with this 3rd party maps addition I don’t think I’m going to need another computer for a long long time. Thanks again and keep up the great work! Hey, that depends on the document format in which the website provide the trails in. What website are you using? To be honest, haven’t heard that before. Is it charged? Is there a firmware update available? Try those two things. You can try to boot it up without map file. It should work without it. It’s 100% charged. If I boot it in test mode (holding Star/Stop button and Power button) works for few seconds… but turns it off when making the map sum test. I will keep on trying! Thank you so much. I actually recall an identical incident now! And dug up the conversation, the solution was to install web update, then reinstall the 4.10 update, then it worked (even added the Map afterwards). Hope this helps! Hi, I finally get it working but not with OSM maps, just with Garmin Default maps (and files, of course). So, the only way is downgradin it to 4.10 isn’t it? Mine is now at 6.20. It is a problem with the map file.. It turns it off when loading map file. Hi. Very good your explanation. Thanks a lot. One question: I deleted the file ‘gmapbmap.img’from garmin edge 520. I Don’t have more the original file. is there any problem? No worries. Even without a map file the 520 will work fine. Other question, what is the file gmaptz 580kb, can I Delete it? Look up open street map in your area. Hi, I have gone through all the steps without success. My 520 doesn’t load the openstreet map. Any suggestions? File placed in wrong folder. I deleted the gmapbmap.img file as well as the gmapbmap.sum file per a Youtube video I watched. I don’t see that you mention deleting the *.sum file, does it need to be deleted prior to uploading the downloaded map file? Do I need to add it back to the 520? Thanks! You don’t need to touch the sum file. It works fine. I don’t know why that video tells you to delete it. Is there a way to zoom in on these maps on an Garmin 520? I bought one yesterday and managed to get a map on the device but it shows very little detail. Exact same thing – nothing happens, didn’t get a “Confirm replace” dialogue either. FIlenames EXACTLY the same – checked and double checked. Any ideas? I’ve had this working perfectly before but since updating to 6.20 it seems to have stopped working. I saw that up in the comments that you recommend switching back to version 4.10, have you worked out a way around this without reverting back to the old firmware? Thanks! Worked great on first try. Hey, great! That mystery solved too! It would have taken me ages to find that as I’m on a mac. Installing osm worked smoothly but when using the map the zoom and /or the map position jumps all the time. I am really having a hard time reading it. Any ideas? While on the map page push the top right button to bring up the menu, choose the top item “Zoom map in/out” then turn the Auto Zoom feature off. Then go into the item below”Set Zoom Level” you will see a plus and minus on the screen, toggle the buttons to your choice of zoom level and it will hold there until changed by you. Anyone found a way to remove the “Ready to Navigate” banner at the top of the map screen while in use to allow a larger map view? The open source maps work great…… Thanks. Found the answer to my own question. If you have the map screen active enter the menu and choose the map zoom level option, the screen will have a plus and minus in the lower left corner to allow a zoom in, or zoom out. Just leave the screen in the option setting and the Navigation banner at the top of the screen is no longer visible. More of the actual map is displayed fully from top to bottom. If you were to go Touring with the 520 and leave the tiled area you have downloaded can you update to a new map area by blue-toothing the new file from your phones memory card? You are not going to have access to a laptop while cycle touring after all. I can find the maps and get them to my Mac however when I plug my 520 into the computer it is not recognized so I can’t access it to install the maps. My macair is from 2010 a perhaps that’s the issue? Have just got an Edge 520, and installed local maps as per these instructions, worked first time, what an improvement, thank you for the brilliant info. hi, i have downloaded the map i want, when i open the file, i get the following message “gmap.supp.img no mountable fie systems” i’m using a MacBook Air. Don’t OPEN de img file. Thanks for this. The small problem you have nowadays is that the site at the top is no longer working. You can submit requests all day and not get anything out. 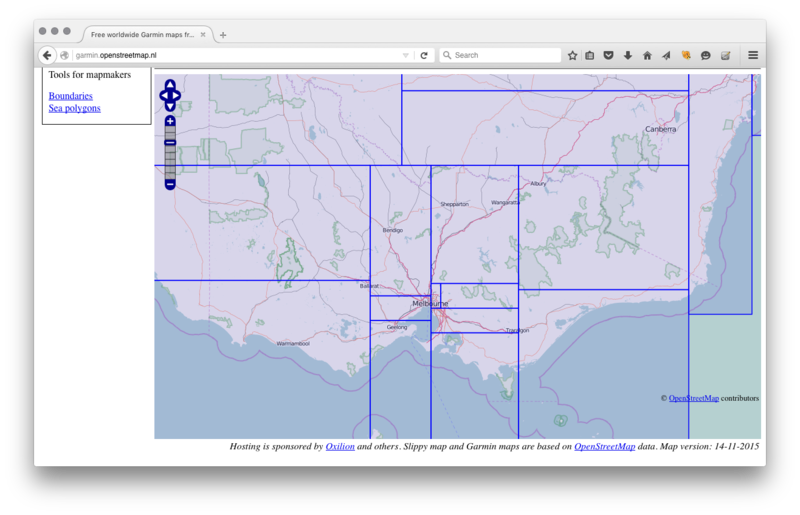 BUT what you can do is to download the image files tiles individually from the same source (so click on e.g AU_Shepparton etc in the image at the top of this screen) and then use mkgmap to stick them all together for the Garmin. It works just fine on the latest v10 build of the 520 but you will need to do a bit of googling to work out how to install and use mkgmap. The trick is to create a command line file where you list all your maps as input files and use the make base map setting. Some renaming of files is required … and you’re away! Thanks a lot anyway for giving us some clues even if the method doesn’t work any more! I’ve been in contact with the creator of the Garmin-OSM site before. I’ll send him a note. HI! I have followed the instructions step by step, have chosen the map I require to download but when I have received the email stating it is ready to download the link will not open stating it is a blank page? See the comment above. The site is currently having issues. I have managed to install the maps correctly, however when I try and use pre-planned routes, previously created using the old mapping system, I used to get a blue line on the map indicating direct changes etc. and now I no longer get them, any ideas? “In case anyone else had the problem where after copying gmapbmap.img, the map display was blank. And even copying the original file, the map is blank… Oh no! I have the exact same problem!! have you solved it yet? I downloaded the map i needed from thie site and it came to 22mb. When I open the zip file the file shows it to be 665mb. Therefore I can’t copy the map onto the Garmin. Any idea? I also tried to reload the original base map but it says that that file was too large too? 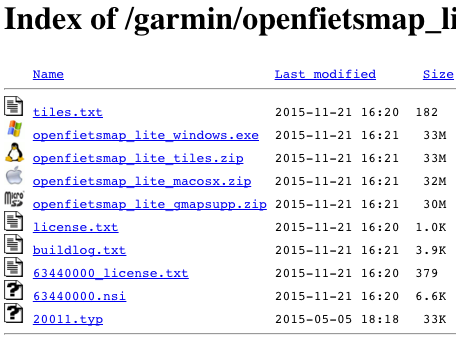 Looks like you’ll need to select the Garmin Openfietsmap Lite ASCII. The rest of the process is very similar. Wait for your link, rename the file, etc. Interestingly, the maps generated with this tool seem to be significantly smaller than the other one! Thank you. It worked! Definitely smaller files than the other site that is recommended. Once I select the predefined area or manually select tiles, I do not see the side bar with the size of the map and the fields do not change for me to add my e mail address and build map. The extract.bbike.org worked well and I used the Garmin Openfietsmap Lite ASCII successfully. The other site does not seem to work anymore. Thanks for the assistance. bbbike.org is great as you can customise the area better and thus control the file size with greater control. Highly recommended. All I can think of is double check where you’re moving the file. Also, the map you’re installing should be where you are currently in order to see it. I have just bought the 520 and am completely confused – I connect it to my PC but I cannot for the life of me find it as a device – do you have any ideas for me please? I have downloaded the gmapsupp.img-file to my computer (PC with Windows 10), but Windows will not let me rename it. As long as it is not renamed, I suppose it has no sense to try to download it to my Edge 520. Any suggestion what can be wrong? I found the solution myself. First I only double-clicked the zip-folder to see the gmapsupp.img-file. This didn’t work. Now I right-clicked the zip-folder and selected “Extract All…”. After I did that, it was no problem to rename the file and download it to my Edge 520. Now I can also see the map on my device, so it seems to work fine. Thanks a lot for the fine description of how to do it. does this work on an 1030 to ? I follow the instruction exaktly but its says that i have not enough space? Thank you so much for such an easy-to-follow guide. I was beginning to despair before this. Now it looks as if the Garmin has loaded up the map of my area. Thank you! !